Although old, it remains the law for fishing in China " for the purpose of enhancing the protection, increase, development and reasonable utilization of fishery resources, developing artificial cultivation, protecting fishery workers' lawful rights and interests and boosting fishery production, so as to meet the requirements of socialist construction and the needs of the people." This law seeks to protect national list and international list of endangered species. China - Wildlife - Wildlife Law Regulations Wildlife Law Regs. This is the set of regulations for the implementation of the national wildlife law, primarily for the protection of endangered species. 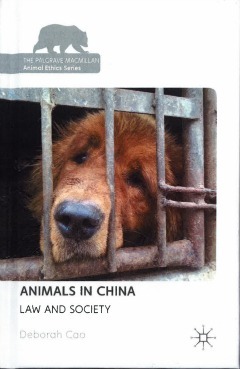 Discussion of the issue of bear farming and the international trade in bear bile. Analysis of the laws regulating farming and trade. Discusses how the issue presents a problem and proposes solutions.